The shocking truth about its use! 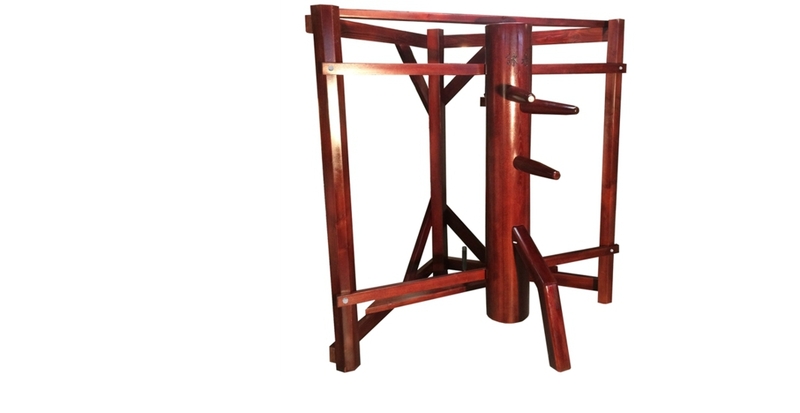 The wooden dummy is a training device that is used in many different systems of Chinese martial arts. There are many different designs for wooden dummies. 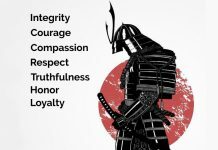 Certain designs are used to highlight particular attributes in martial arts practitioners. The dummy is often used by systems to develop “toughness” in the limbs and striking surfaces. Some systems also develop sensitivity and trapping skills by flowing around the dummy’s arms. 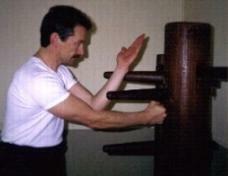 PPS (Progressive Protection Systems) uses the wing chun design of the wooden dummy for a number of purposes. The most important is to develop “snap power” in the checks, blocks employed in the system. Short, sharp movements are used to shock the dummy on its support beams. 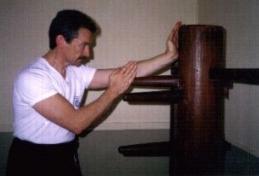 With correct technique the practitioner will develop the snap power necessary to slide the dummy across its support beams. Use of the dummy also ensures that excessive follow through of blocks and check does not occur as the dummy’s arms only have a slight “give” in their housing which prevent this from occurring. This is also true of striking the dummy which lends itself to high impulse forces which PPS favors. This is opposed to low impulse, power driving force strikes. PPS uses the dummy as aid in the development of high speed, checking, trapping and striking functions. When checking a dummy’s arms, the PPS practitioner will use the reaction force from the dummy’s arm to initiate a secondary function whether it is a check or a strike. Master Bennett explains that the recoil from the initial impact results in high velocity multiple functioning. 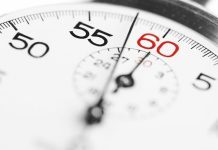 The effect is similar to a pinball when it hits a series of bumpers. PPS has used the physics theory of inelastic collisions and applied to it to martial science. **Counterbalancing and its relationship with footwork will be explained in further articles About the author: Alvin Kan has been studying Martial Arts for 18 years starting with Judo, 6 Years with Mast Michael Spinks Studying Jin Wu Koon Double Dragon Shaolin Gung Fu and the Past 11 Years with Master Geoff Bennett studying Progressive Protections Systems, which is based on the Five Ancestors Gung Fu System. 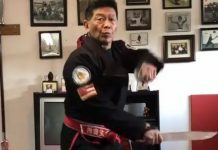 Alvin also has investigated the arts of Brazillian Ju Jutsu, Kickboxing and Kali. No 1 (Left) The attacker’s strike is deflected with a lead tan sao. No 2 (Right) The recoil from the opponents arm is used to power the lead palm. No 1 Chris counters the attackers strike with a simultaneous tan sao and lower punch. No 2 As the attacker slumps. Chris simultaneously checks the arm (clearing the target path) and deliver a palm strike to the head. 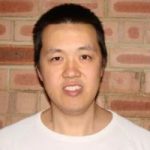 Alvin Kan has studied Martial Arts for 23 years starting with Judo, Jin Wu Koon Double Dragon Shaolin Gung Fu and then with Master Geoff Bennett studying Progressive Protection Systems, based on the Five Ancestors Gung Fu System. Alvin also has investigated the arts of Brazillian Ju Jutsu, Kickboxing and Kali.